Why Would You Need to Clone An iPhone? The following factors will bring the need to clone an iPhone, iPad or iPod touch. You misplaced your iPhone and would like to recover all the files and data in the lost device. Your iPhone is stolen, and you want to get your important files and documents back. You bought a new iPhone, iPad or iPod touch, and would like to transfer your iOS files and information to the new device. Your iPhone is disabled after inputting the wrong passcode severally, then you will need to clone the locked/disable iPhone before erasing it. If installing a new version of iOS or iOS beta caused you to factory reset your iPhone, then you’ll need to restore a cloned version of your iPhone immediately. These and many other scenarios not mentioned above would need you to clone your iPhone. The following solutions, tips, and tools can help you to clone any iPhone or iOS device. We’ve also outlined the steps to use these tools and methods to clone your iOS devices. Many iPhone users have asked us the question “Is it possible to clone an iPhone?”, and our replies to this question is still YES. Furthermore, we would always tell them that there is no better iPhone cloner than iMyFone TunesMate. Why is iMyFone TunesMate the best iPhone cloner? The simple answer is that every iOS files, information, and data on your old iPhone can be extracted and transferred to your new iPhone using iMyFone TunesMate. Therefore, if you have lost your iPhone to theft, or bought a new iPhone that requires you to clone the old iPhone contacts, notes, health data, and other information to the new one, then use iMyFone TunesMate. TunesMate is the best iOS device cloner in the market today as described by top media sites. 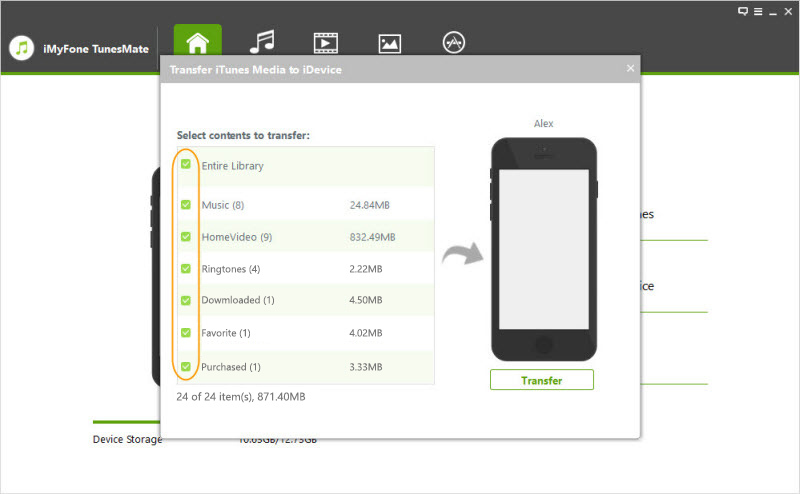 TunesMate can transfer all the iOS files and data on your iPhone without leaving anything out. TunesMate can clone iTunes library without overwriting the original library. TunesMate supports all version of iPhone, iPad, and iPod touch, and all versions of iOS. Step 1. Launch TunesMate on your PC, and connect your old iPhone to your PC using a USB cable. Step 2. Click the “Transfer iDevice Media to iTunes > Start” tabs to scan your iPhone. Step 3. Click “Start” to begin the transfer process, and “Complete” to exit the page. Secondly, if you’ve cloned all your iPhone data to iTunes Library, you can now transfer them to your new iPhone using iMyFone TunesMate. Step 1. Connect your new iPhone to your PC, and it will reflect on TunesFix. Step 2. 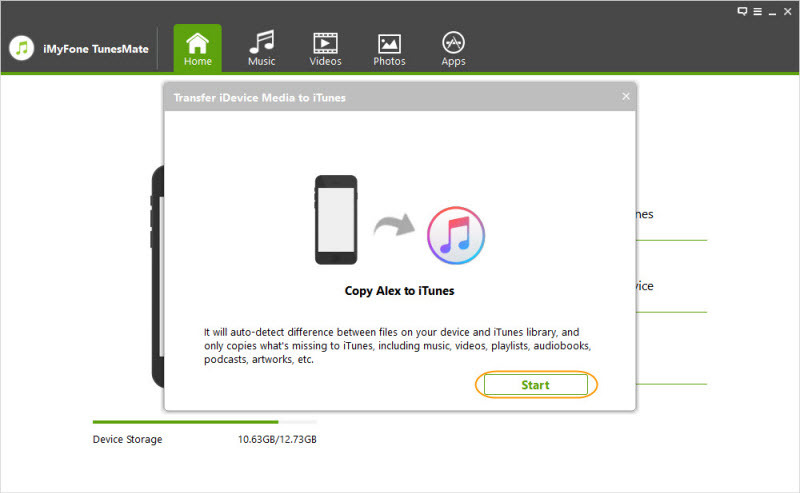 Click “Transfer iTunes Media to iDevice” and click “Transfer” tab to begin the process of cloning your new iPhone. Click the “OK” tab to complete the process. iTunes can help you to clone your iOS device. However, it will not make a backup of your Activity, Health, and Fitness data, Touch ID settings, synced data from iTunes and other sensitive information like Apple Pay. First, back up your old iPhone to iTunes library. Step 2. Click “Device icon > Summary > Back Up Now”. Then, restore the new iPhone from Backup. Step 1. Connect your new iPhone to PC. Step 2. 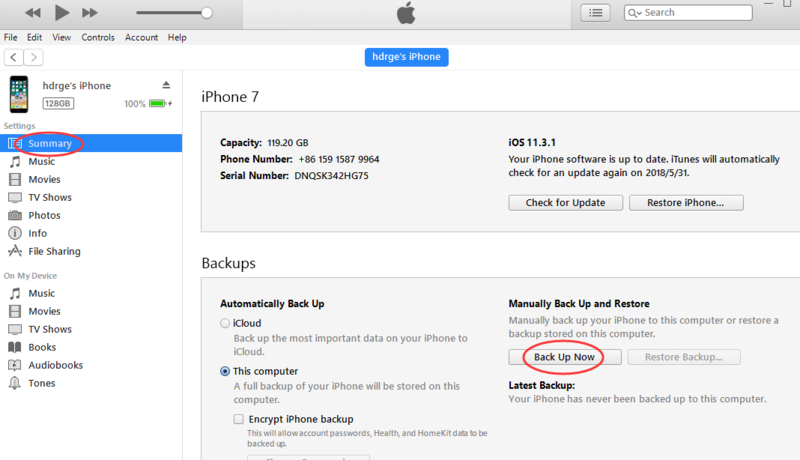 Click on the device in iTunes, and click “Summary > Restore Backup”. Step 3. Choose the correct Backup by checking their date and size. Then click “Restore”. iCloud is the best tool in cloning an iPhone remotely, but this method requires a whole lot of time for the files to download. 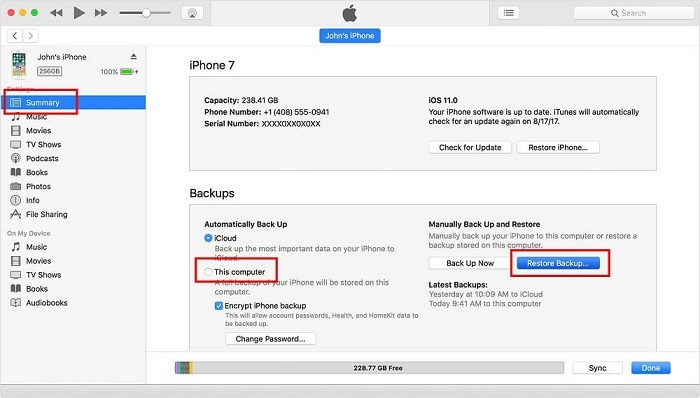 However, the iCloud backup must have been enabled in the old device before you can clone the content to a new device. Step 1. Turn on the new iPhone, and follow the on-screen instructions until you get to the App & Data screen. Step 2. 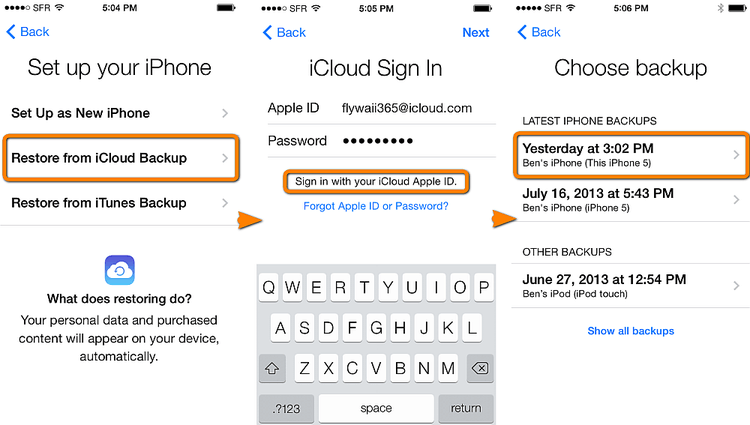 Choose “Restore from iCloud Backup”, sign into your iCloud account using your Apple ID and Password. Step 3. Choose the backup to restore your iPhone from. You can use a third-party tool to exploit the vulnerability of an iPhone in order to clone it. Note: this process only works for older versions of iOS, and older models of iPhone. It’s also not advisable to download and install these tools on your PC because some of them are ransomware. Step 1. Download any good Bluetooth hacking tool for this task; you can use Super Bluetooth Hack 1.08. Use “1234 or 0000” as your passcode while installing the app. Step 2. Turn on the Bluetooth on the two iPhones, and connect them using Bluetooth. The tool you downloaded will provide some crucial information about the other device. Step 3. You can now access the other device call logs, messages, and more without touching it. All the methods we’ve discussed in the post are free and easy to use in cloning iPhone. However, we truly recommend iMyFone TunesMate for iPhone cloning and data transfer because of data safety and security.